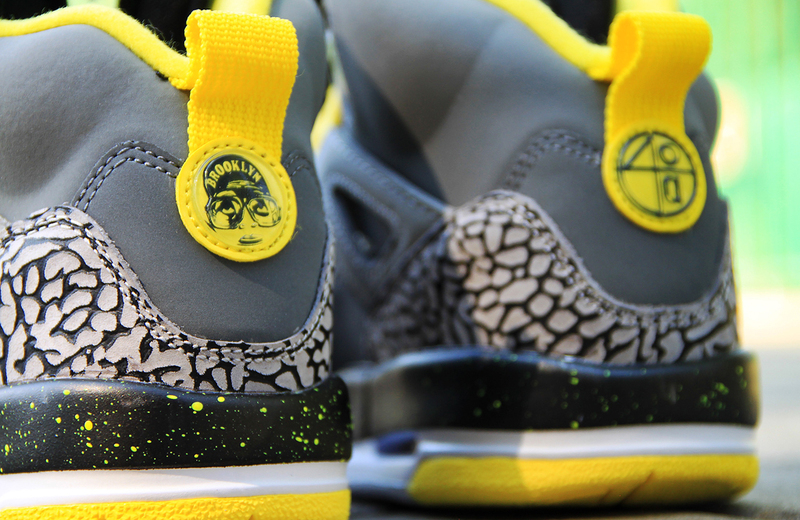 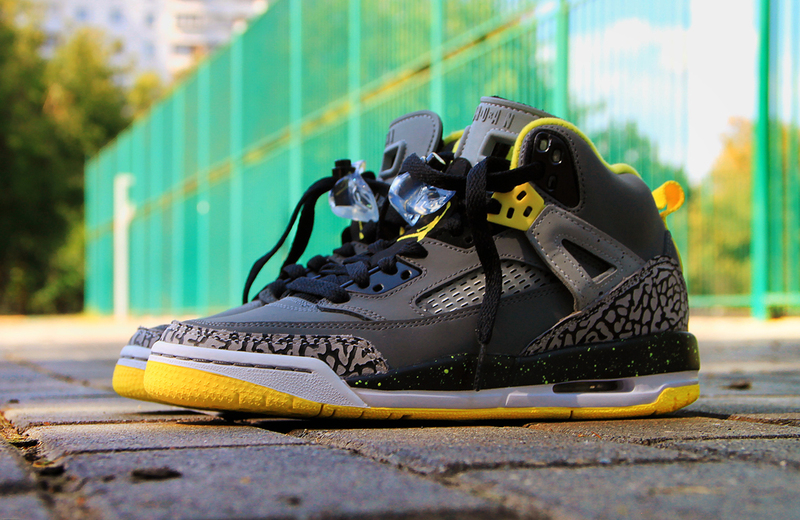 Here's a first look at another kids exclusive colorway of the Jordan Spiz'ike. 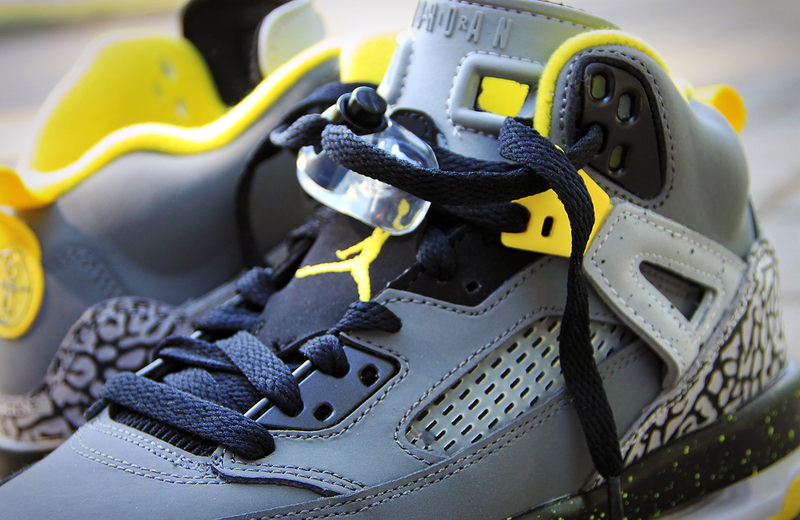 This pair comes in cool grey, vibrant yellow and black, following the current 'Thunder' or 'Vibrant Yellow' theme. 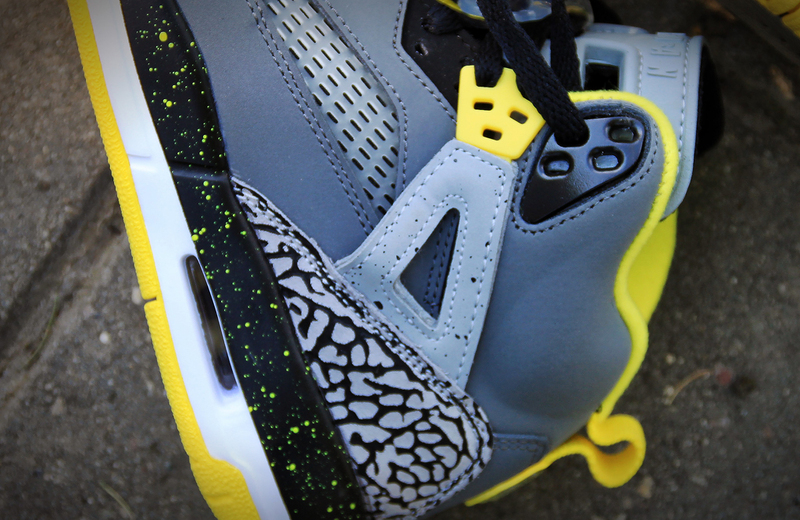 Featuring a grey-based reflective 3M upper with yellow and black accents along with paint splatter details on the midsole and a cement print on the strap. 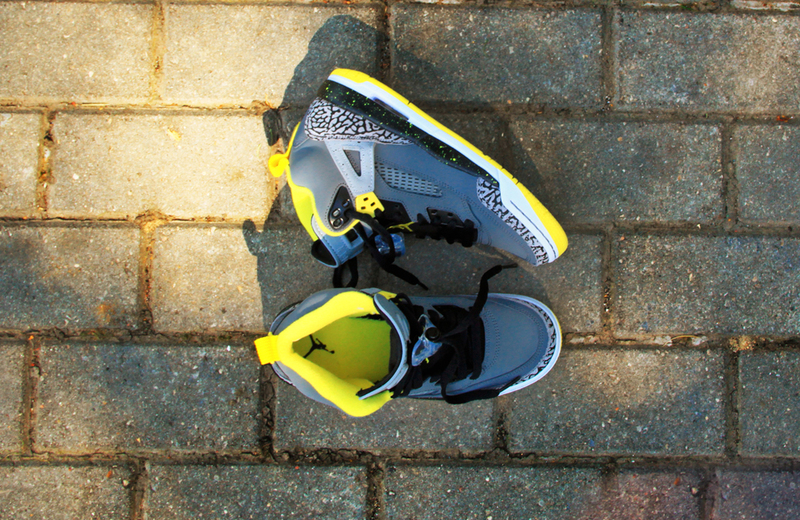 They are available now at select Jordan Brand retailers overseas such as Sneakerhead and will drop stateside on Wednesday, July 23 in kid's sizes ranging from gradeschool down to toddler.